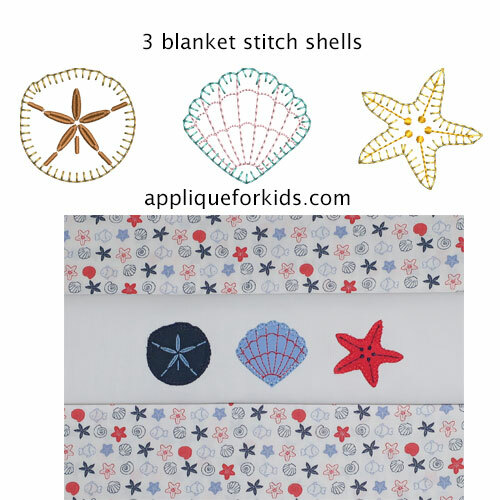 regular: wd- 5.79" x ht- 1.55" medium: wd- 6.78" x ht- 1.77"
Sweet little sea shells, the blanket stitch gives them a hand stitched look. Perfect for going across an inset, collar, yoke, etc. Fabric Finders has matching fabrics - check your favorite fabric store for availability on the fabric.